The excited Year 3 children began by introducing themselves to each other. They’d already changed out of their school uniforms and into their very best clothes. Maisie had a brand new dress, there was discussion about Joe’s shirt and speculation about his shoes. Everyone agreed they looked good enough for Posh Lunch. 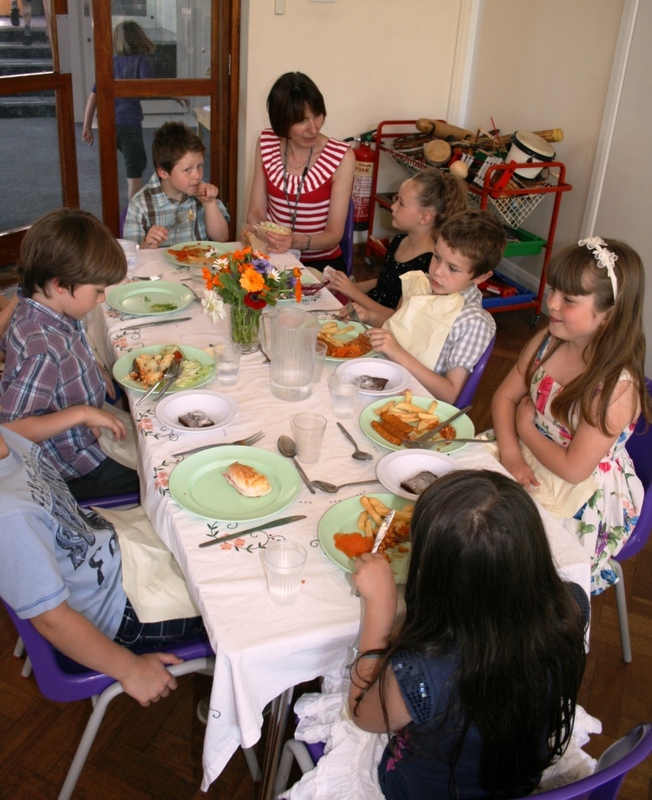 Posh Lunch is a Friday ritual at South Malling primary school in Lewes. Every week the meals supervisors choose four children who’ve behaved particularly well at lunchtime. 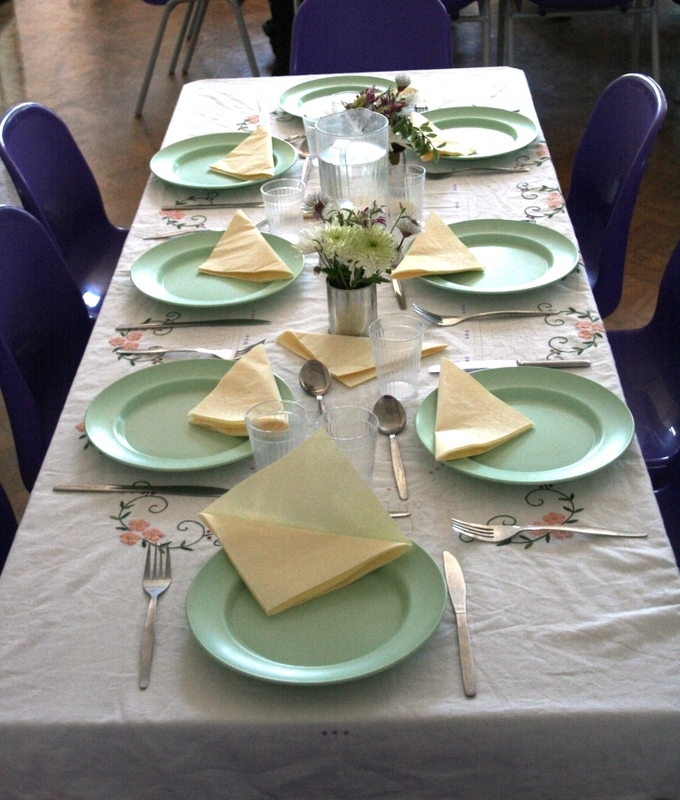 Each child then invites a friend and the eight of them join head teacher Joanna O’Donoghue at a specially laid table in the dining hall. There’s a white table cloth and a big jar of freshly cut flowers. The children either fetch a school dinner or place their packed lunches on their plates. 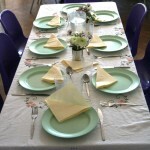 Then Mrs O’Donoghue helps them with the unfamiliar paper napkins and the meal begins. “It started as a reward for good manners, to encourage the children to be respectful to the adults serving them” says the head teacher. Her school in East Sussex, a couple of hours south of London has levels of deprivation – as measured by the numbers on Free School Meals – that are pretty much in line with the national average. Over the two years it’s been running, Posh Lunch has evolved. Now Mrs O’Donoghue says, “It’s a model for sitting and sharing a meal with other people”. For many children that’s an entirely new experience. They love it and, not to make a meal of it, Posh Lunch has a lot of value beyond encouraging good behaviour in the school. The world of work is changing as the UK moves from manufacturing to service sector jobs. As the report on youth unemployment published this week by the Work Foundation says, that transition means “soft skills” such as communication or being able to work in a team are increasingly important when it comes to getting a job – and today’s school leavers just don’t have those skills. A similar conclusion was reached by some of Britain’s major employers in a survey earlier this year. Yes, businesses felt young people entering the work force could do with better English and Maths. But when asked what newcomers lacked most, 41% said “interpersonal skills”. An absence of “respect for authority” was another big area of concern. I’ll admit, you’re not going to sort that out over one Posh Lunch – but it’s a start. The children responded politely when Mrs O’Donoghue engaged them in small talk about weekend plans. They also had important questions of their own. Why does the Queen cut her sandwiches into little triangles prompted a lively debate – and a resolution to Google the answer after the meal. I couldn’t quite follow all the twists in the tale of Poppy’s dog nor of why Maisie’s mum wanted to call her brother Claire though I did get that Elijah doesn’t like apricots. But that’s not the point. These 7 and 8 year-olds were talking confidently and comfortably with adults (including a complete stranger) in a relatively formal gathering. That I should praise good conversation around the dinner table is not just a reflection of my own middle class upbringing where such meals were routine – and it may not be to everyone’s taste. But Posh Lunch does provide children with a useful tool. The Deputy Prime Minister, Nick Clegg said in a speech on Social Mobility this week that we “need to ensure that our school system as a whole promotes fairness and mobility”. He was talking mostly about upping academic achievement which is of course any school’s main aim. But social graces also promote mobility. And a sense of fairness, not snobbery means we should share those skills too. 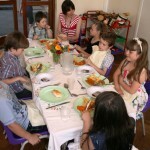 Posh Lunch ended with each child finishing in their own time and asking Mrs O’Donoghue if they could leave. She reminded them to come back and say goodbye to anyone still eating once they’d cleared their plates, and then they were off, out into the sunshine with one final treat: They got to stay in their posh clothes for the rest of the school day. Sounds like fun. But just to ask if you have read William Nicolson’s recently completed trilogy of novels set in the Lewes area? All in p/b. Jenni Russell put me on to them. They’re wonderful. Maybe your sister? What a lovely story! I’m intrigued to know whether the same 4 chouldren end up attending posh lunch each week or not…?!? thanks! No, different children each week though some who’ve been chosen before are later “invited” by their friends as they’re allowed to invite whoever they want. Of the 8 I met, only 1 had been before. What a brilliant thing to do! Should be rolled out to all schools. They would learn so much from this – slowing down, listening to each other, confidence… Thanks, Claire! And congratulations to your sister on this great idea. 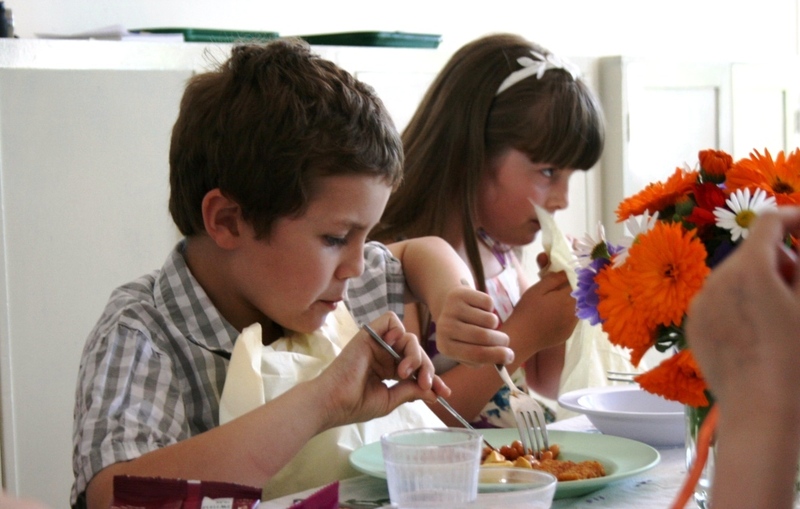 I love this posh lunch idea and will forward it to some friends who works in schools. Sometimes it can be hard to find a new and useful way of rewarding good behaviour. This really fits the bill!